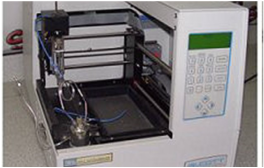 ACE technicians are experts at the repair, calibration, & certification of a wide range of lab equipment. Call us for a single repair or to have ongoing peace of mind with a service contract. ACE sells new, rebuilt & certified equipment, and parts for a variety of laboratory and cleanroom needs. View part of our inventory or place a request for equipment not listed.